The deadline is approaching for the annual Union awards for exceptional contributions to tuberculosis control or lung health, as well as the new Young Innovator in TB Research Award sponsored by International Union Against Tuberculosis and Lung Disease (The Union) and Otsuka SA. Interested persons are invited to apply for these important awards, and past applicants are welcome to re-apply. While there is no formal nomination process, we invite you to encourage your colleagues, collaborators, partners, professors, students and organisations to submit an application. Each of these awards includes a full fellowship to attend the Union World Conference on Lung Health (full 5-day registration, travel, accommodation and per diem) as well as either a cash prize or a scholarship for training. Details about the prizes and the application process can be found here. The deadline is 30 June 2014; late applications will not be considered. The Karel Styblo Public Health Prize acknowledges a health worker (physician or lay person) or a community organisation for contributions to tuberculosis control over a period of 10 years or more. The Union Scientific Prize acknowledges researchers at any stage of their career for work in lung health published in the past five years. The Union Young Investigator Prize was established in 2011 to acknowledge a researcher for work in lung health published in the past five years, when age 35 year or younger. The most recent award, the Young Innovator in TB Research Award, was established in 2014 through a global partnership between Otsuka SA (Otsuka) and The Union. The aim of the award is to recognise young scientists who have demonstrated a commitment to advancing innovative thinking in tuberculosis (TB) research. Applicants will be clinicians and researchers from any country who have completed post-graduate training no longer than five years ago (30 June 2009) and who have successfully completed an innovative demonstration project in TB control, management and care, including operational and clinical research. 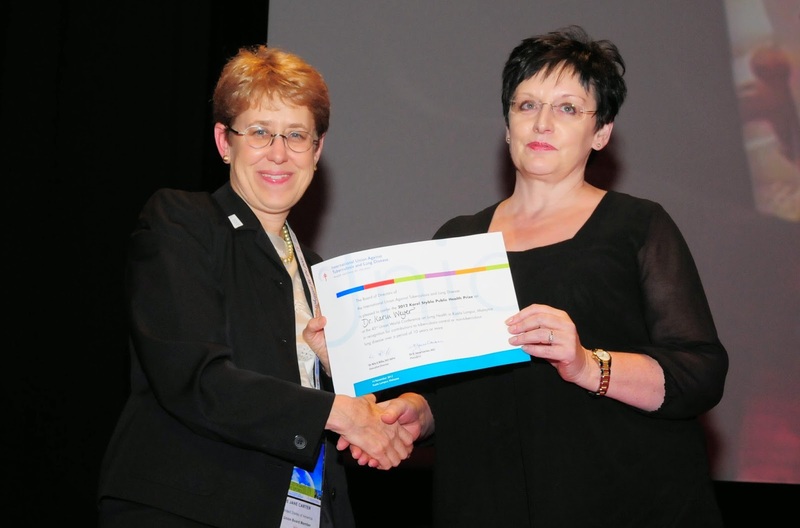 The prizes will be presented at the 45th Union World Conference on Lung Health in Barcelona, Spain from 28 October to 1 November 2014.